ONGC Videsh Ltd, the overseas arm of state-owned Oil and Natural Gas Corp (ONGC), and Cairn India Ltd are likely to bid jointly for oil and gas blocks in Sri Lanka. Sri Lanka is offering 13 offshore exploration blocks in the Cauvery and Mannar basins, located to the North and West of the island nation. 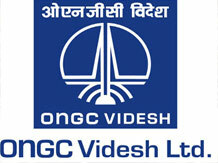 OVL-Cairn combine are likely to bid for three of them together, sources with direct knowledge of the development said. Bids for the Sri Lankan Licensing Round, only the second in its history, close on November 29. Sources said OVL wants to hold at least 51% in the consortium it intends to form with Cairn for bidding in the 2nd Licensing Round of Sri Lanka. Of interest of OVL are three blocks M4, M5 and M6 in the Mannar basin, they said. Cairn already has a block in Mannar basin where it has made two gas discoveries. It had won the block in Sri Lanka's first licensing round in 2007 by defeating OVL and Niko Resources of Canada. Sri Lanka's Petroleum Resource Development Secretariat (PRDS) Director General Saliya Wickramasuriya had in September stated that oil majors Exxon Mobil Corp, Royal Dutch Shell, France's Total and Eni of Italy have shown interest in bidding for blocks on offer. The island nation, which is trying to reinvigorate oil and gas exploration, expects to award the blocks in the first quarter of 2014. Sri Lanka does not currently produce oil or gas and spent $5 billion on imports in 2012. Besides the 13 shallow water blocks, Sri Lanka has also offered six ultra-deepwater blocks off the southeastern coast for a joint study with PRDS to establish their hydrocarbon potential. The blocks on offer in the Cauvery basin range in size from 2,403 square kilometers, in the shallow waters of the Palk Straight, between Sri Lanka and India, to 4,566 sq km in deep water areas to the northeast of Sri Lanka. The blocks in the Mannar basin are larger, ranging in size from 2,714 sq km to 8,120 sq km in the deep to very deep waters of the Gulf of Mannar. Although there have been no oil or gas discoveries in the Sri Lankan sector of the Cauvery basin, the Indian sector of the basin has significant oil and gas fields. The Mannar basin hosts the discoveries made by Cairn.